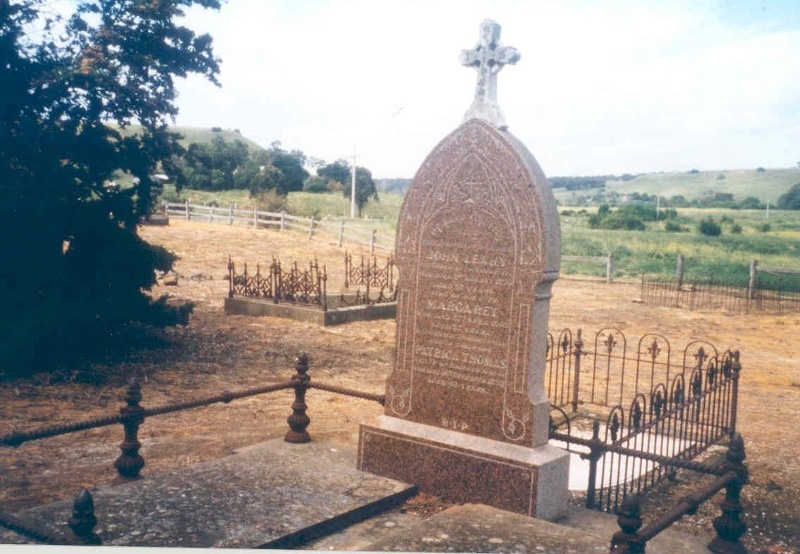 The Hopetoun Catholic Cemetery is situated in a rural setting approximately 4km to the east of Bacchus Marsh, at the foot of a slope overlooking the junction of the Werribee and Lerderderg Rivers. 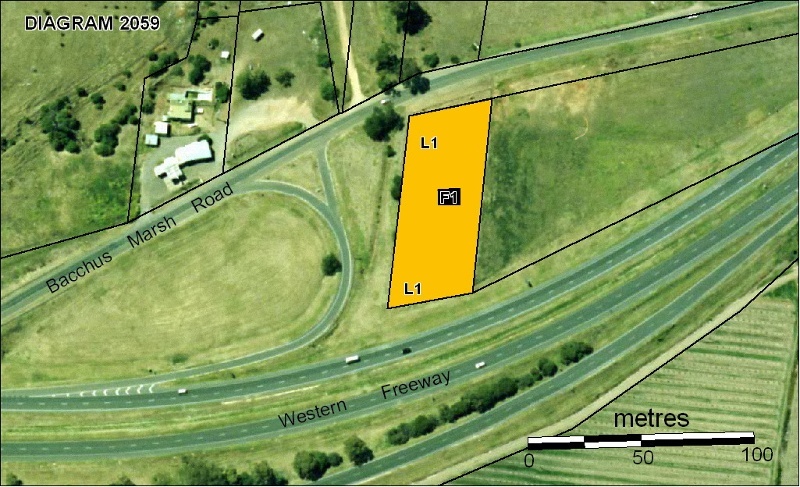 It is about 0.4 hectares in area, and situated within an irregularly-shaped four-sided block. 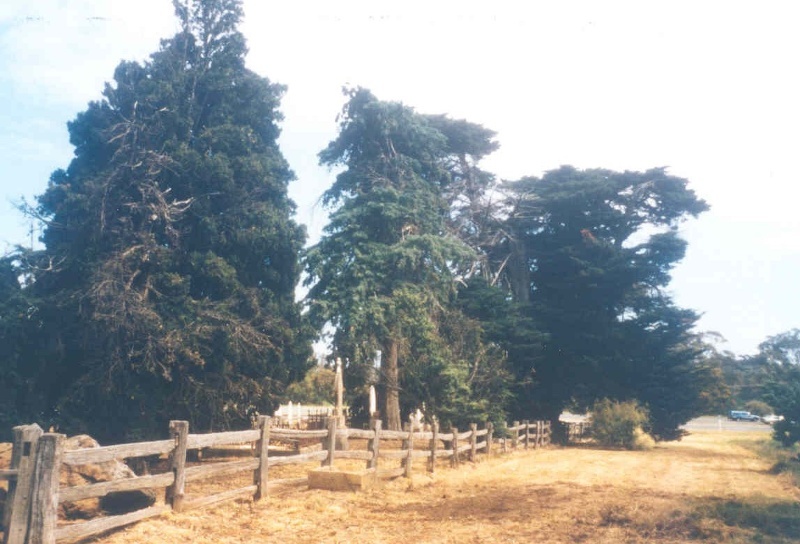 The cemetery is fenced with a post-and-rail fence rebuilt in 2002-2003. The site was established on land donated by Messrs Leahy, Egan and Egan in 1850, to the Roman Catholic Church for the erection of a chapel/school. The chapel known as the Church of St Laurence O'Toole was made of locally produced hand-made bricks, the foundation stone laid by Bishop Goold on October 16th, 1850. Used as both a house of worship and school by the Irish immigrants who settled the area it served first as the Hopetoun Catholic Denominational School (1851-1861), then later as Merrimu Common School No. 988 (1869-1874) finally closing in 1874. The building survived until c1876 and was then demolished. The chapel/school remains can be seen as stone footing and brick scatters that remain in situ in the centre in the cemetery. The cemetery was closed in 1894 by the Board of Public Health as it did not adhere to the Cemeteries Act of 1890. it kept no records and had no Trustees. New Burial Rights were issued by the Board and burials continued at the cemetery until c1950. The layout of the burial plots is common for small cemeteries, best assigned as a crude axial grid. The Hopetoun Catholic Cemetery contains 23 legible headstones, relating to 58 burials, with family burial plots representing a visible feature of the cemetery. The earliest identifiable headstone in the cemetery dates to an 1854 burial, and all others date to the period 1870 to 1909. However, the inscriptions relate to burials from as early as April 1851 and many had later inscriptions added, up to 1941. There is evidence of many unmarked graves. Estimates of the total number of burials range from 150 to 250 persons. Most of the marked and unmarked graves are in the northern and central areas of the cemetery. All remaining monuments face east, except that of John Leahy, donor of the land, which faces west. The Hopetoun Catholic Cemetery site features several maturecypress along the western side, English Hawthorn hedge remnants, a Blue Gum and seedling Tree Violet. Amongst the graves are 6 Italian Cypress. The site's value isincreased by its survival in its original rural context, its archaeological potential, its prominent position, and its relationship to other important heritage places, notably the adjacent residence of John Leahy (VHR 907). The Hopetoun Cemetery is of historical, archaeological and scientific (botanical) significance to the State of Victoria. 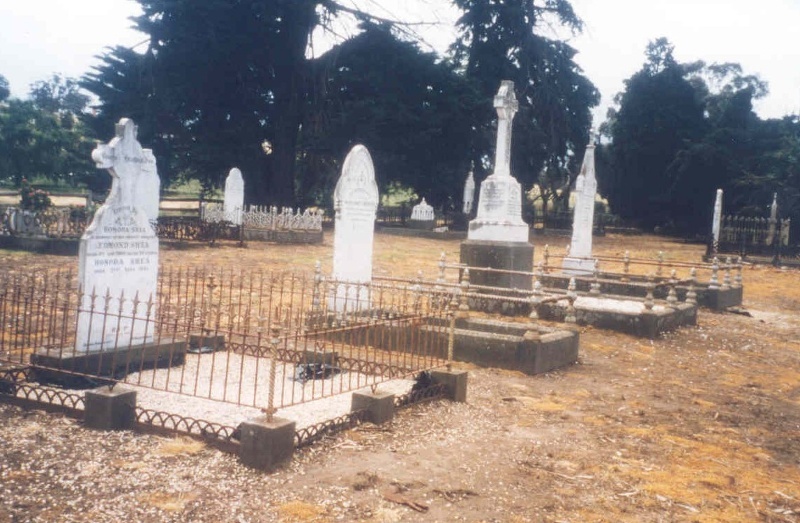 The Hopetoun Cemetery is historically important as the earliest known Catholic cemetery in rural Victoria. The Cemetery represents a complex and multi layered site and is important for the visible evidence it demonstrates of a pre-goldrush European settlement, particularly relating to the Irish farming community, reflected in the cemetery grounds and the ruins of the schoolhouse/chapel. The predominantly Irish names on the surviving headstones, and several inscriptions relating to Ireland, reflect the Irish-Catholic community that settled in the area, established the chapel/school and used the cemetery. The relative simplicity of the monuments and the unmarked graves reflect the working class origins and simple tastes of this hard-working farming community. Rural cemeteries like the Hopetoun of the pre-gold rush era are rare. Of the churchyard cemeteries in Victoria only Hopetoun's chapel, albeit now in ruinous condition is of the pre-goldrush period.The Hopetoun Catholic Cemetery tells of a community that had grown to a point where it required a school for its children, a chapel for its faithful, and a resting place for its dead. 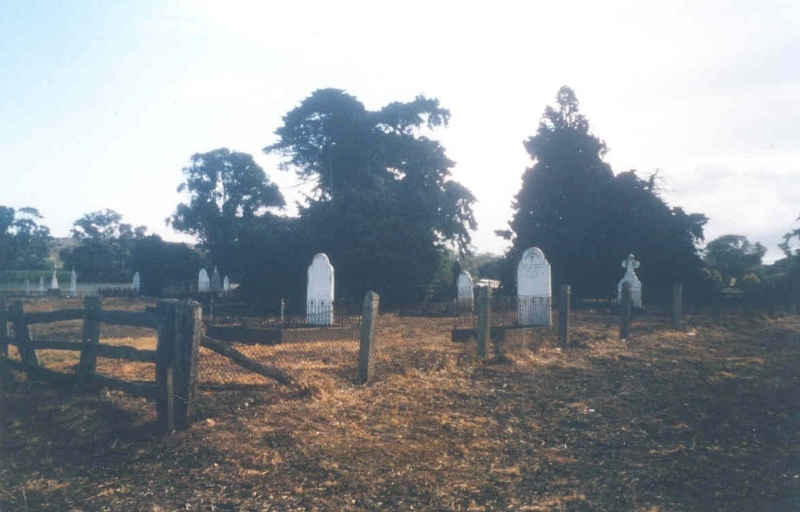 The Hopetoun Catholic Cemetery is important for its archaeological potential to illuminate the pre-goldrush period settlement of regional Victoria. Hand-made brick and stone scatters relating to the construction of the chapel/school and the presence of metal, glass, and ceramic artefacts including fragments of writing slate demonstrate the site's archaeological value reflecting the range of different activities represented at the site. The site has the ability to illustrate our knowledge and understanding of the early Irish Catholic farming community which existed in the area as well as the conditions of this period. 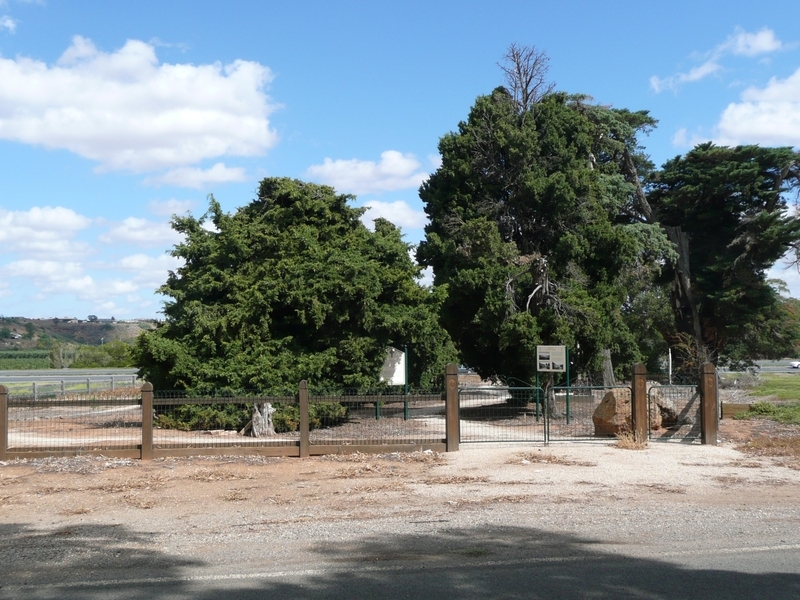 The Hopetoun Catholic Cemetery is scientifically (botanical) important for the landscape values represented in the nineteenth century conifer plantings some of which are rare. The use of dark evergreen conifers is typical on nineteenth-century cemetery planting, and they were used for their symbolic associations. The dark evergreen foliage, narrow upright forms and the failure of pines and cypress to re-shoot from old wood are symbolic of everlasting life, reaching towards heaven, and death. The only flowering shrubs are four red roses growing on the 1890 Ryan grave. The rose cultivar is Rosa La Reine (1842 Laffay, France). It is multi-petalled, highly scented and appears to be of considerable age. 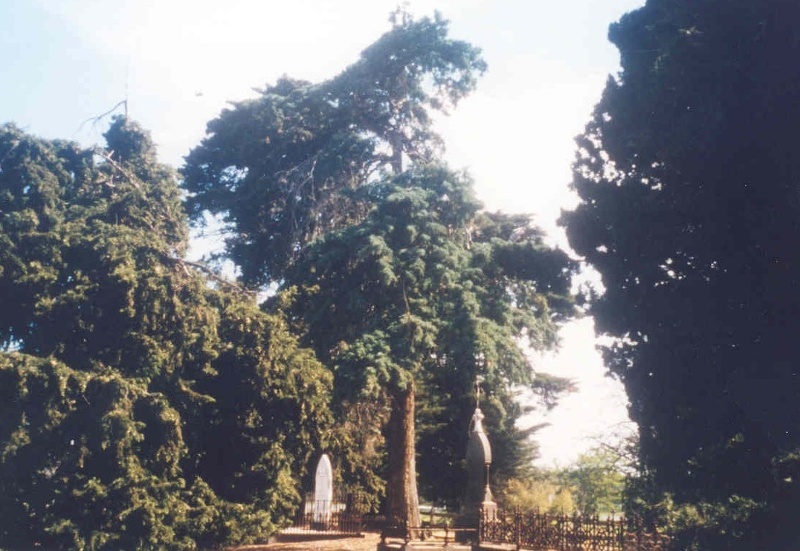 The rare Mexican Blue Cypress (Cupressus lusitanica Glauca Pendula) is one of only three specimens of its type known in Victoria and the broad forms of Cupressus sempervirens are well developed and rare within the State. 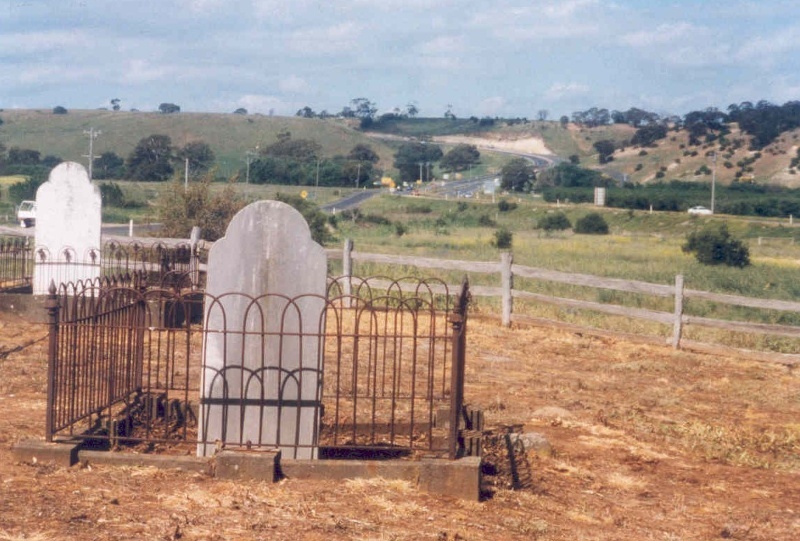 Hopetoun Cemetery, Western Freeway, Bacchus Marsh, Moorabool Shire Council. 1. All the land marked L1 on the Diagram 2059 held by the Executive Director. 2. All archaeological deposits and relics including but not limited to the stone footings, brick scatters and other artefacts associated with the ruins of the chapel/school house built in 1850 marked F1 on the Diagram 2059 held by the Executive Director. 3. All marked and unmarked burials including grave markers, grave surrounds (cast iron and timber), footstones, headstones, altar slabs and mortuary monuments. 4. All the nineteenth century plantings and landscape features. 5. All fences, fence posts and gates. 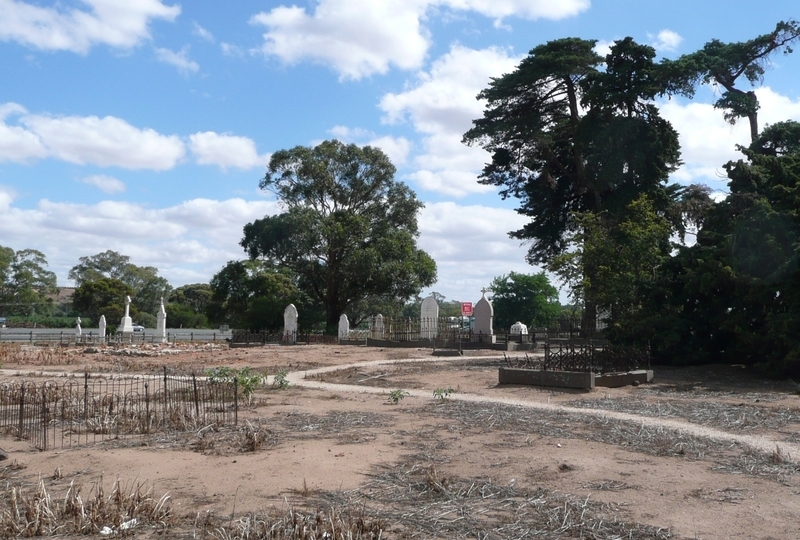 Established on land donated to the Church in 1850, this is the oldest Catholic cemetery in rural Victoria. At the centre was a building used as a chapel and school by the local Irish farming community from 1850 until it was demolished in 1876. General Conditions: 1. All exempted alterations are to be planned and carried out in a manner which prevents damage to the fabric of the registered place or object. General Conditions: 2. Should it become apparent during further inspection or the carrying out of works that original or previously hidden or inaccessible details of the place or object are revealed which relate to the significance of the place or object, then the exemption covering such works shall cease and the Executive Director shall be notified as soon as possible. Note: All archaeological places have the potential to contain significant sub-surface artefacts and other remains. In most cases it will be necessary to obtain approval from Heritage Victoria before the undertaking any works that have a significant sub-surface component. General Conditions: 3. If there is a conservation policy and plan approved by the Executive Director, all works shall be in accordance with it. Note: The existence of a Conservation Management Plan or a Heritage Action Plan endorsed by Heritage Victoria provides guidance for the management of the heritage values associated with the site. It may not be necessary to obtain a heritage permit for certain works specified in the management plan. General Conditions: 4. Nothing in this declaration prevents the Executive Director from amending or rescinding all or any of the permit exemptions. General Conditions: 5. Nothing in this declaration exempts owners or their agents from the responsibility to seek relevant planning or building permits from the responsible authorities where applicable. Regular Site Maintenance : The following site maintenance works are permit exempt under section 66 of the Heritage Act 1995, a) regular site maintenance provided the works do not involve the removal or destruction of any significant above-ground features or sub-surface archaeological artefacts or deposits; b) the maintenance of an item to retain its conditions or operation without the removal of or damage to the existing fabric or the introduction of new materials; c) cleaning including the removal of surface deposits, organic growths, or graffiti by the use of low pressure water and natural detergents and mild brushing and scrubbing; d) repairs, conservation and maintenance to plaques, memorials, roads and paths, fences and gates and drainage and irrigation. e) the replacement of existing services such as cabling, plumbing, wiring and fire services that uses existing routes, conduits or voids, and does not involve damage to or the removal of significant fabric. Note: Surface patina which has developed on the fabric may be an important part of the item’s significance and if so needs to be preserved during maintenance and cleaning. Note: Any new materials used for repair must not exacerbate the decay of existing fabric due to chemical incompatibility, obscure existing fabric or limit access to existing fabric for future maintenance. Repair must maximise protection and retention of fabric and include the conservation of existing details or elements. Fire Suppression Duties : The following fire suppression duties are permit exempt under section 66 of the Heritage Act 1995, a) Fire suppression and fire fighting duties provided the works do not involve the removal or destruction of any significant above-ground features or sub-surface archaeological artefacts or deposits; b) Fire suppression activities such as fuel reduction burns, and fire control line construction, provided all significant historical and archaeological features are appropriately recognised and protected; Note: Fire management authorities should be aware of the location, extent and significance of historical and archaeological places when developing fire suppression and fire fighting strategies. The importance of places listed in the Heritage Register must be considered when strategies for fire suppression and management are being developed. Weed and Vermin Control : The following weed and vermin control activities are permit exempt under section 66 of the Heritage Act 1995, a) Weed and vermin control activities provided the works do not involve the removal or destruction of any significant above-ground features or sub-surface archaeological artefacts or deposits; Note: Particular care must be taken with weed and vermin control works where such activities may have a detrimental affect on the significant fabric of a place. Such works may include the removal of ivy, moss or lichen from an historic structure or feature, or the removal of burrows from a site that has archaeological values. Landscape Maintenance : The following landscape maintenance works are permit exempt under section 66 of the Heritage Act 1995, a) landscape maintenance works provided the activities do not involve the removal or destruction of any significant above-ground features or sub-surface archaeological artefacts or deposits; b) watering, mowing, top-dressing and fertilising necessary for the continued health of plants, without damage or major alterations to layout, contours, plant species or other significant landscape features; c) pruning to control size, improve shape, flowering or fruiting and the removal of diseased, dead or dangerous material, not exceeding 20% of the crown of the tree within a period of two years; d) tree surgery by a qualified horticulturalist or tree surgeon necessary for the health of those plants; e) the process of gardening, including mowing, hedge clipping, bedding displays, removal of dead plants, disease and weed control, and maintenance to care for existing plants; f) replanting to maintain the landscape character or planting theme identified in the Statement of Significance; g) in the event of the loss of any plant specified in the Statement of Significance (Extent of Registration), stump removal and replanting with the same species/cultivar of the plant removed; h) management of trees in accordance with Australian Standard Pruning of amenity trees AS 4373; i)repairs, conservation and maintenance to hard landscape elements, buildings, structures, sculptures, fountains, monuments, ornaments, roads and paths, edges, fences and gates, drainage and irrigation systems; j) landscape works to be undertaken in accordance with an agreed conservation management plan or objectives; k) removal of plants listed as noxious weeds in the Catchment and Land Protection Act 1994; l) non-structural works and installation, removal or replacement of garden watering and drainage systems that occur at a distance greater than 5 metres from the canopy edge of a significant tree, plant or hedge,(structural works may require a permit if on the registered land); m) removal of vegetation to maintain fire safety and to conserve significant buildings and structures. Public Safety and Security : The following public safety and security activities are permit exempt under section 66 of the Heritage Act 1995, a) public safety and security activities provided the works do not involve the removal or destruction of any significant above-ground structures or sub-surface archaeological artefacts or deposits; b) the erection of temporary security fencing, scaffolding, hoardings or surveillance systems to prevent unauthorised access or secure public safety which will not adversely affect significant fabric of the place including archaeological features; c) development including emergency stabilisation necessary to secure safety where a site feature has been irreparably damaged or destabilised and represents a safety risk to its users or the public. Note: Urgent or emergency site works are to be undertaken by an appropriately qualified specialist such as a structural engineer, or other heritage professional. Signage and Site Interpretation : The following Signage and Site Interpretation activities are permit exempt under section 66 of the Heritage Act 1995, a) signage and site interpretation activities provided the works do not involve the removal or destruction of any significant above-ground structures or sub-surface archaeological artefacts or deposits; b) the erection of non-illuminated signage for the purpose of ensuring public safety or to assist in the interpretation of the heritage significance of the place or object and which will not adversely affect significant fabric including landscape or archaeological features of the place or obstruct significant views of and from heritage values or items; c) signage and site interpretation products must be located and be of a suitable size so as not to obscure or damage significant fabric of the place; d) signage and site interpretation products must be able to be later removed without causing damage to the significant fabric of the place; Note: The development of signage and site interpretation products must be consistent in the use of format, text, logos, themes and other display materials. Note: Where possible, the signage and interpretation material should be consistent with other schemes developed on similar or associated sites. It may be necessary to consult with land managers and other stakeholders concerning existing schemes and strategies for signage and site interpretation. Mineral Exploration : The following Mineral Exploration activities are permit exempt under section 66 of the Heritage Act 1995, a) mineral Exploration activities provided the works do not involve the removal or destruction of any significant above-ground features or sub-surface archaeological artefacts or deposits; b) preliminary non-intrusive exploration, including geological mapping, geophysical surveys, and geochemical sampling and access to shafts and adits; c) advanced forms of exploration (drilling), including the location of drill pads and access tracks where this has been the subject of on-site negotiation and agreement with representatives of Heritage Victoria, DSE and Parks Victoria, and where all significant historic site features have been identified and protected as part of an approved work plan. Minor Works : Note: Any Minor Works that in the opinion of the Executive Director will not adversely affect the heritage significance of the place may be exempt from the permit requirements of the Heritage Act. A person proposing to undertake minor works may submit a proposal to the Executive Director. If the Executive Director is satisfied that the proposed works will not adversely affect the heritage values of the site, the applicant may be exempted from the requirement to obtain a heritage permit. If an applicant is uncertain whether a heritage permit is required, it is recommended that the permits co-ordinator be contacted. The purpose of the permit exemptions is to allow works that do not impact on the heritage significance of the place to occur without the need for a permit. 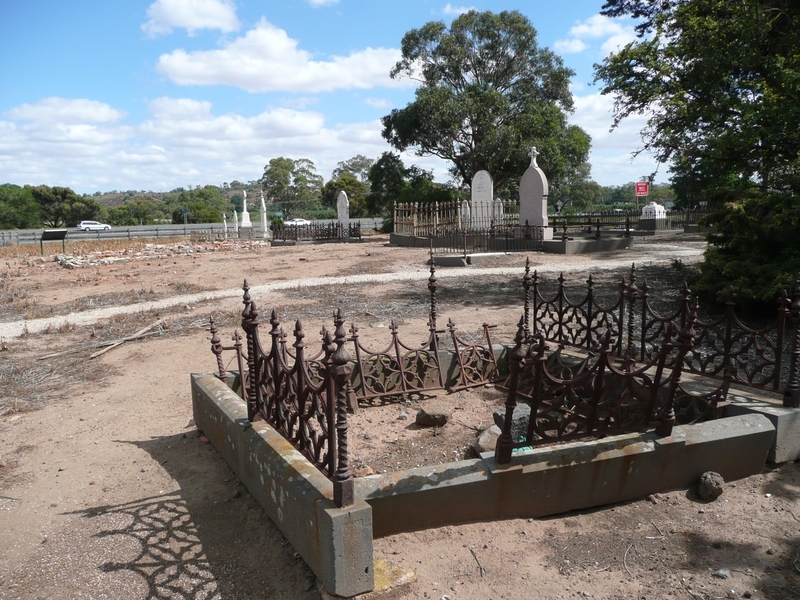 The Hopetoun Catholic Cemetery and the related archaeological features contribute in a fundamental way to an understanding of the historical, scientific and archaeological significance of the site. It is important that any proposed changes or alterations to the features identified in the Extent of Registration are considered and assessed on the basis of clearly defined plans or proposals and must be planned and carried out in a manner which prevents damage to the fabric of the registered place or relics. All archaeological places have the potential to contain significant sub-surface artefacts and other remains. 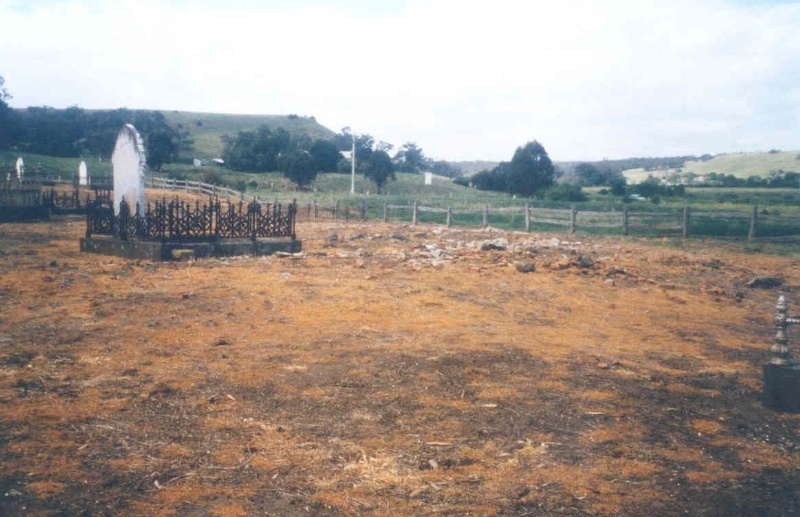 The archaeological remains of the Hopetoun Catholic Cemetery site have the capacity to reveal important evidence associated with the past occupation and activities of the site. These remains and other historical documentary sources contribute to an understanding of this important archaeological and heritage place. It is recommended that any proposed works are in accordance with The Hopetoun Catholic Cemetery Conservation Management Plan, prepared by R. J. Kaufman ( February 2001) which includes conservation analysis, a conservation policy and management plan.